In this course, you get to understand exactly HOW debt works, so you can understand HOW to get out of it with a smart plan that works for you. 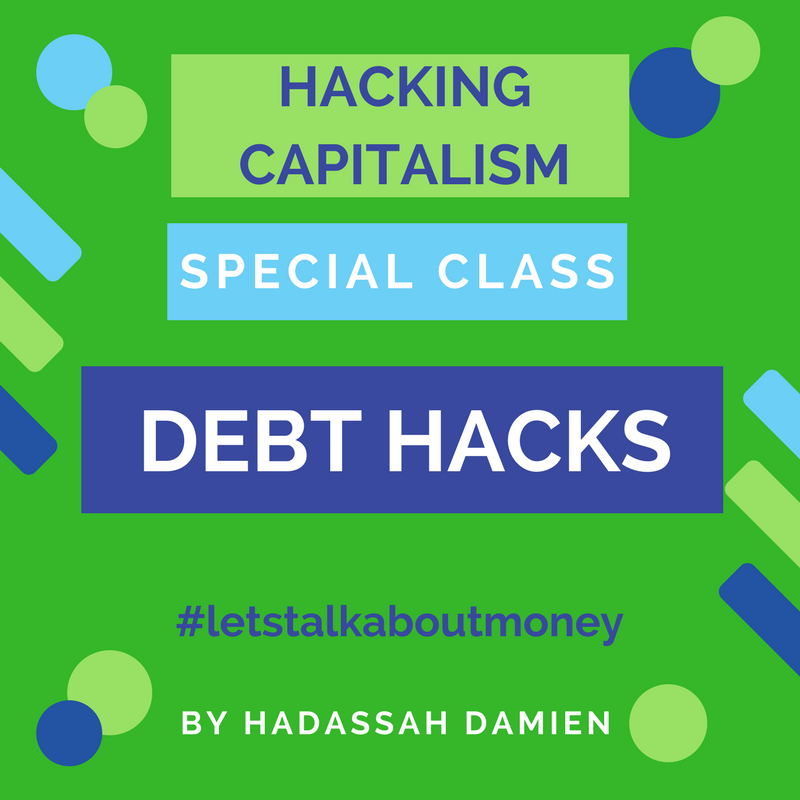 For those who don’t have a handle & are ready to get a grip, Hacking Debt is a one-hour Crash Course In Dealing With $$$, Debt & Capitalism. From student loan hacks, the exact way you deal with past due calls, an explanation of bankruptcy and more this class is JAMMED with easy-to-follow mega tricks. Here’s the basics we go over in this short, effective course which will allow you to understand how debt works so you can more effectively get OUT of it. A 10-minute solution. If you take in nothing else, take in this 9 minute video and you can make your plan to start getting out of debt. Explaining Debt: The most crucial thing to understand about how debt is how it’s constructed and how interest on it grows – so you can outsmart it with strategic payment. Debt Hacks: Addressing Different debt issues with a few specific strategies customized to specific situations. Credit explained & credit hacks: Did you know you can improve your credit while getting out of debt? Since these two go hand in hand – credit & debt – this is a short and powerful series to put choice in your hands. But what’s about to be more awesome? Offering Calm That ACK! for an extra-affordable price, so more of yall can get the scoop. This course is on PERMANENT sale for only $9. Because, debt. Only $9 to learn how to slam your debt? This will pay for itself! !